Bradley will be inducted in the “Non-Performer” category, which is awarded every third year in rotation with the “Recording and/or Touring Musician” and “Songwriter” categories. 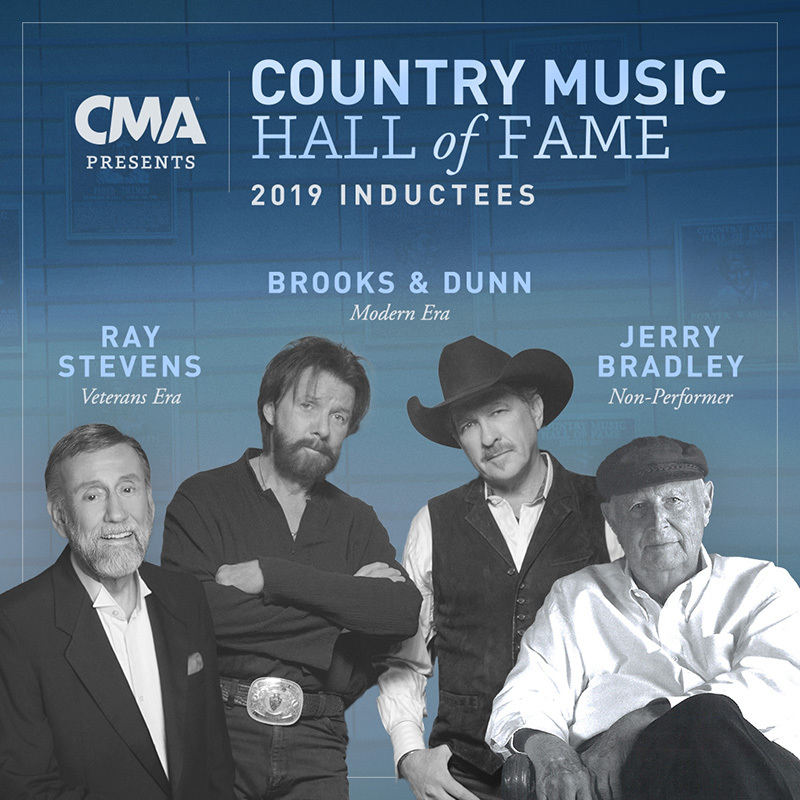 Brooks & Dunn will be inducted in the “Modern Era Artist” category, and Stevens will be inducted in the “Veterans Era Artist” category. The press conference was hosted WSM radio personality Bill Cody. 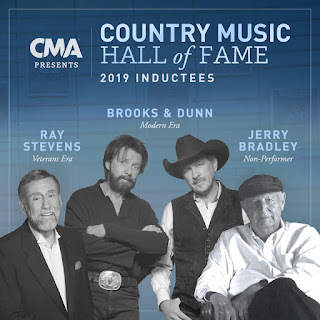 The announcement was made in the rotunda of the Country Music Hall of Fame® and Museum in Nashville and livestreamed on CMA’s YouTube channel. Media assets are available for download at CMApress.com. While at RCA, Bradley also presided over star-making hits by such artists as Dave & Sugar, John Denver and Sylvia. During his 1986-2002 spell at the Opryland Music Group, Bradley produced Pride’s “Shouldn’t It Be Easier Than This” (1987), “I’m Gonna Love Her on the Radio” (1988) and more. He also signed such artists as John Conlee and Neal McCoy. Jerry and Connie Bradley are now retired and remain beloved figures in the Nashville music community. Brooks & Dunn leaped back to the top of the charts with “Red Dirt Road” and “You Can’t Take the Honky Tonk Out of the Girl” in 2003. Dunn’s co-written “Play Something Country” and “Believe” became iconic singles of 2005, with the latter winning CMA Single and Music Video of the Year awards. The duo reunited with McEntire on 2008’s “Cowgirls Don’t Cry.” Brooks & Dunn have also collaborated on recordings with such artists as Asleep at the Wheel, Johnny Cash, Billy Gibbons and Mac Powell. In 2006, Brooks became the host of the nationally syndicated radio show “American Country Countdown,” having taken home CMA and ACM awards for his hosting duties. As a CMA board member and Chairman of the Board in 2005, he was pivotal in the creation of its “Keep the Music Playing” program benefiting music education, which has become the CMA Foundation. He was also the first recipient of the CMA Humanitarian Award in 2015. Brooks & Dunn earned a star on the Hollywood Walk of Fame in 2008. In 2014, the duo announced their reunion along with long-time friend, McEntire, for a residency called “Together in Vegas” at The Colosseum at Caesar’s Palace in Las Vegas, which received rave reviews and continues to be extended with more shows throughout this year. Brooks & Dunn recently announced their upcoming collaboration album Reboot. Available on April 5, the 12-track release will see the duo team up with Kane Brown, Thomas Rhett, Brett Young, LANCO, Ashley McBryde, Brothers Osborne, Luke Combs, Midland, Cody Johnson, Jon Pardi, Tyler Booth and Kacey Musgraves on re-ignited versions of Brooks & Dunn’s biggest hits.